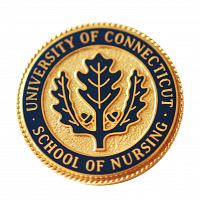 For three quarters of a century, the University of Connecticut School of Nursing has prepared professional nurses who have gone on to provide leadership at state, national and international levels. Hallmarks of the school’s development include the founding of the school (1942), the establishment of the master’s degree program (1971), and the establishment of the doctoral degree program (1994). The School of Nursing was the first public institution in Connecticut to offer a program leading to a bachelor’s degree in nursing, and in the fall of 1942, thirteen students were the first to be enrolled into the newly established UConn School of Nursing. 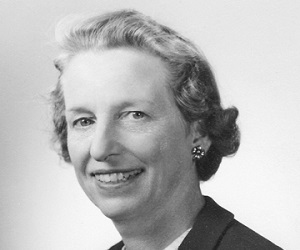 A Phi Beta Kappa Wellesley College and Yale University School of Nursing graduate, Carolyn Ladd Widmer, served as the school’s first dean from 1942 to 1967. Prior to her arrival at UConn, she was the founding director of the School of Nursing at the American University of Beirut. Within her time as dean, UConn was rated in the top 25% of the nation’s schools of nursing by the 1949 survey performed by the National Committee for the Improvement of Nursing Services. The faculty appointment of the first-full time instructor, Miss Josephine A. Dolan, in 1944, was of great importance. Dolan’s later revision to the Goodnow’s History of Nursing appeared in 1953, and became Dolan's History of Nursing, and later known as Nursing in Society. She was a national authority on the history of nursing and her revisions earned her two honorary doctorates, as well as the Connecticut Nurses’ Association establishment of an award in her honor for outstanding contributions to nursing education. The ninth dean of the School of Nursing, serving from 2016 to 2017, Carol Polifroni has been a presence at UConn over the course of four decades. Outside of her numerous roles at UConn, including acting dean, coordinator of various programs and director of the Office of Public Engagement, Polifroni has engaged in numerous hospital consulting roles over the past 30 years and has contributed to the existing body of nursing education research. She has been prolific in securing program grant funding to advance nursing education and has led important community partnerships to prepare future nurses. During her distinguished career, Polifroni received more than $5 million in grants from federal agencies and foundations to enhance the diversity of the nursing workforce and the preparation of tomorrow’s educators, and advised 25 doctoral students who are now leaders and educators. For her many contributions in research and education, she has been named a Fellow of the Academy of Nurse Educators by the National League for Nursing, and awarded the Josephine Dolan Award for Outstanding Contributions to Nursing Education and the Mary Jane Williams Lifetime Achievement Award by the Connecticut Nursing Association. Dean Dzurec holds a BS degree in nursing from UConn, a MS degree from Ohio State University, and a PhD from Case Western Reserve University. Dr. Dzurec is a clinical specialist in Adult Psychiatric and Mental Health Nursing and a childbirth educator. Before her deanship at UConn, Dzurec served as the Associate Dean at Oregon Health Sciences University. Dzurec has published extensively in various nursing journals. Her leadership highlights include the restructuring of Academic Advising to improve efficiency and management of rising enrollment, tripling the amount of scholarship dollars awarded annually, and successfully leading the School trhough the process of obtaining a full 10 year CCNE accreditation. Dean Kramer earned her baccalaureate in nursing front St. Louis University, a master’s from Case Western Reserve, and a PhD from Stanford University. She was nationally recognized for her scholarship, research, and publications. One of her best-known works is the series of books she published which made Reality Shock a household word in nursing. During her tenure as Dean, the school expanded its research mission and revised the curricula for undergraduate and graduate programs. Under her leadership, the Alumni Association became an important force in the life of the school. Regina Cusson served as dean of the School of Nursing from 2011 to 2016. She came to Storrs as a professor and director of the neonatal nurse practitioner track in 1998. Before her appointment at UConn, she was a professor at both the University of Maryland and University of Pennsylvania. Outside of her professorship activities, she is a UConn site coordinator for the Program for the Study of Health Care Relationships and a coordinator for the Neonatal Nurse Practitioner Faculty Special Interest Group of the Neonatal Advanced Practice Nursing Forum. Dean Redman earned her baccalaureate in nursing from South Dakota State University, then her master’s and PhD from the University of Minnesota. As a professor at the University of Washington School of Nursing she wrote The Process of Patient Teaching in Nursing, a hallmark book currently it is in its eighth edition. Before her deanship at UConn she held many distinguished positions including Dean of the School of Nursing for the University of Colorado in Denver, Executive Director of the American Association of Colleges of Nursing, and Executive Director of the American Nurses Association. Under her term as Dean the primary foci were increasing funded research and recruitment of internationally known faculty. Dean Gill received her baccalaureate degree from Brown College in 1935 and her master’s from Yale University School of Nursing in 1938. She also received a MS from Boston University in 1960. Before coming to UConn, Dean Gill had taught in the School of Nursing at Boston University and pioneered the role of the clinical nurse specialist at Boston University Medical Center. The UConn School of Nursing expanded dramatically during her deanship, with the consolidation and innovative revision of the undergraduate curriculum on the Storrs campus, and the establishment of the master’s program, the first in a public university in the state. Anne R. Bavier earned her Bachelor’s in Nursing from Duke University in 1970, her Masters in Nursing from Emory University in 1973 and her Doctorate of Philosophy in Nursing from Duquesne University in 2003. Bavier served as assistant dean for development, alumni and external relations and then assistant dean for planning and external relations at Emory University’s Nell Hodgson Woodruff School of Nursing, one of the leading schools of nursing in the country, from 1999 to 2003, before assuming the deanship at St. Xavier University in 2004. Bavier became dean of the University of Connecticut’s School of Nursing in August of 2007. Bavier also had leadership roles at federal health care agencies, including being the deputy director of the National Institutes of Health’s Office of Research on Women’s Health. She taught on the faculties of St. Xavier University, Emory University, Yale University and Georgia State University. Under her leadership the School of Nursing earned the designation of Center of Excellence in the Nursing Education, a distinction given by the NLN to the top nursing schools in the nation. While at these schools, Bavier also worked towards increased grant funding and financial aid for economically disadvantaged students. Dean Koerner, an honor graduate of the undergraduate program at UConn, was a member of the first class of graduate students in nursing, earning her MS degree in 1973, followed by a PhD from the School of Education in 1979. She served on the faculty at UConn before becoming the Chair of The Department of Nursing at the University of Hartford, where she served for several years before returning to UConn as the fourth Dean of the school. Under her leadership, the PhD program was further developed and faculty research continued to expand. The School of Nursing buildings were renovated and space for the School was enlarged. Following her term as Dean, Dr. Koerner returned to the faculty to teach, practice, and conduct research. As of 12/31/2007, Dr. Koerner retired. Dean Widmer was the founding Dean of the School. A Phi Beta Kappa graduate of Wellesley College in 1923, she earned her baccalaureate degree in nursing from Yale University School of Nursing, graduating in 1929. After her graduation she organized public health nursing in Bogotá, Colombia. In 1932, she became the Dean of the School of Nursing at the American University in Beirut, Lebanon, then known as Syria. With the threat of war in Europe, she returned to the US with her two small children in 1940, and in 1942, opened the UConn School of Nursing. She received her MA at Trinity in 1951. The UConn School of Nursing Alumni and Friends Society, established early in the schools history as separate from the UConn Alumni Association, performed a great deal of tasks for the school. This association financed student delegate trips to the national conventions, donated money to Miss Dolan for the purchase of materials pertaining to nursing history, established the Carolyn Ladd Widmer Scholarship to provide emergency financial aid to students in need, planned and conducted the ceremonies celebrating the tenth, fifteenth, twenty-fifth, and fiftieth anniversaries of the School of Nursing, and established a program of speaking about nursing careers in high schools around the state. Initially the School of Nursing’s curriculum was five years in length. Students in the first class were also enrolled in the U.S. Cadet Nurse Corps, a federal program within the U.S. Public Health Service, designed to increase the number of nurses needed to meet the WWII crisis. One member of that pioneer class later became the first director of the Division of Nursing at Southern Connecticut State (College) University. 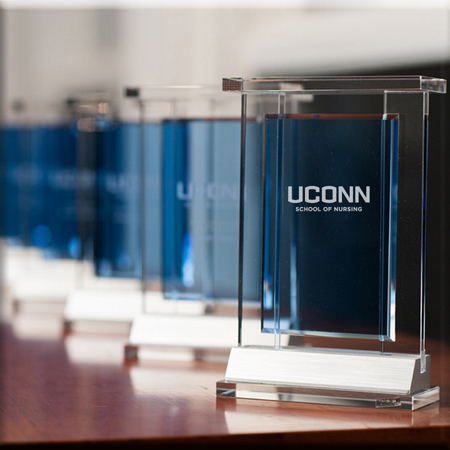 In accord with national trends, in 1953 the UConn program was shortened from five to four calendar years. Approximately equal time was devoted to nursing and non-nursing course work at that time. A survey of graduates conducted in 1966 revealed that alumni of the UConn School of Nursing held a broad array of national and international positions. The variety of jobs included the Peace Corps, armed forces, nursing service settings, academic institutions and religious orders. One graduate of the class of 1948 had been awarded the Bronze Star Medal for meritorious service rendered during the Korean Conflict. 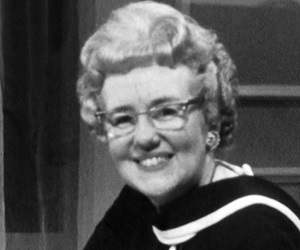 Following Dean Widmer, Eleanor K. Gill led the school from 1967 until her retirement in 1980. In December, 1970, the UConn School of Nursing initiated and organized interdisciplinary team activities among the faculty and students from the health professional schools of Nursing, Allied Health, Dentistry, Medicine, Pharmacy, Social Work, and Nutritional Science in December, 1970. The organizations efforts resulted in the implementation of a new curriculum that advocated a joint effort of health schools in training nursing students. The combination of medical specialties in the establishment of interdisciplinary courses facilitated and enhanced the effectiveness of teaching and learning nursing, ultimately bettering the rendering of health care. In 1971 the first class was admitted to the School of Nursing’s Master of Science program designed to prepare nurse educators and master clinicians, and later, nurse managers. Two graduates of that decade later completed doctoral studies and went on to become deans of schools of nursing, one at St. Joseph College and one at her alma mater, the University of Connecticut. By 1980, 146 nurses had completed the rigorous courses of advanced study and by 1995 the number exceeded 500. Current students continue to have an impact on health care through their advanced practice and by presenting their research findings at regional and national meetings. Throughout the beginnings of the UConn School of Nursing, many students found that they had to traverse from a wide range of areas in Connecticut in order to fulfill their nursing curriculum. Originally, Storrs, Hartford, New Haven, Greenwich, Norwich, and Middletown comprised the multiple areas of teaching. In 1975, the Faculty White Papers set a milestone and decided the destiny of the school by setting forth their desire to have Storrs as the location of the entire faculty, student body, and all physical resources. This step, taken by the faculty, not only strengthened the ties between students and faculty, but also centralized the School of Nursing’s curriculum at Storrs. Marlene F. Kramer was Dean of the school from 1980 through 1987. During her tenure as Dean, the school expanded its research mission and revised the curricula for undergraduate and graduate programs. Also under her leadership, the Alumni Association became an important force in the life of the school. Beverly Koerner was Dean from 1988 through 1993, and while in office she helped in the further expansion and dedications for the School of nursing. In 1991, the School of Nursing building, which originally housed the university’s first infirmary, was renamed the Carolyn Ladd Widmer Building in honor of the school’s first dean. In the same year, the School’s Center for Nursing Research was founded and the university acquired the professional book collection of renowned nurse leader, Virginia A. Henderson, thereby enhancing the research resources for both students and faculty. In 1992, the school’s 50th anniversary was further marked by the dedication of a room in Storrs Hall honoring Josephine A. Dolan, Professor Emeritus and renowned nurse historian, who had been a School of Nursing faculty member for 35 years. Three years later she donated a valuable collection of papers which created the core for a designated history of nursing collection in the new Dodd Research Center. Barbara Redman served as dean from 1995 through 1998, followed by Dean Laura Dzurec from 2001 to 2006, then Dean Anne R. Bavier from 2007 to 2011. Each dean continued to add to the growing environment at the University of Connecticut by improving the curriculum, supporting research, and continuing a tradition of excellence. The history of the UConn School of Nursing is evolving daily as new techniques, faculty, and research findings enhance the student’s ability to render care to each patient. From meager beginnings, the school has drastically expanded into the powerhouse of institutional training it is today. Every faculty member, alumni, and student body have contributed to the establishment of one of the nation’s top nursing schools, and the continuation of these members work will add further insight and accomplishments to the long list held at the University of Connecticut. The School made significant advances in nursing education throughout the 2000s with the integration of interactive patient simulation mannequins in the on-campus simulation lab and the inauguration of full-semester clinical education abroad programs in Cape Town, South Africa, and San Juan, Puerto Rico. The School began its Doctor of Nursing Practice (DNP) program to develop advanced clinical practice, institutional leadership and policy analysis. The 11-month post-baccalaureate program, the Master’s Entry into Nursing (now Certificate Entry into Nursing, or CEIN) began and quickly expanded the nursing workforce. Dean Laura Dzurec and Dean Anne Bavier led these visionary innovations in nursing education and research. The School expanded its interdisciplinary and interprofessional teaching and research through strategic faculty hiring in the fields of medicine, education, biostatistics, technical communication, and nutrition science. Today, near the close of the 2010s, the School of Nursing has over 600 pre-licensure students in more than 700 contracted clinical sites, over 130 master’s degree students in 5 specialty areas, and almost 100 doctoral students in the PhD and DNP programs, educated in Storrs Hall and its state-of-the-art Widmer Wing. The School’s CEIN program is offered to students at four campus locations around Connecticut. Its faculty have been recognized nationally and internationally for leadership in research, practice, education, and policy. The School has developed even more robust interdisciplinary and interprofessional teaching and research with strategic faculty hiring in genetics and physiology, as well as joint appointments in UConn Medicine, Neuroscience, Genetics and Developmental Biology, Community Medicine and Health Care, and Women’s, Gender, and Sexuality Studies. Under the leadership of Dean Regina Cusson, Dean Carol Polifroni, and Dean Deborah Chyun, the School of Nursing engages advanced interdisciplinary research through its Center for Advancement in Managing Pain, the Center for Corrections Health Networks, and Conversations About Health Analytics, Technology Transfer, Evaluation and Research (CHATTER). Other research strengths include neonatal, infant, and maternal care, diabetes care, and geriatric care. Completed in 1919 at a cost of $47,732.42, the Widmer building was the University of Connecticut’s first infirmary. A substantial building, it was built of red brick on a stone foundation with a slate roof and attached wooden porches. It contained an open ward for patients, several private rooms, office space and a large solarium with a fireplace. Located next to Swan Lake, then called Duck Pond, the infirmary was surrounded by a grove of tall trees until a hurricane destroyed many of them. The original setting was a valuable adjunct to any treatment for ill students that was offered at the time. The School of Nursing first occupied the Widmer Building, also known as “the cottage,” in 1950 when the present day infirmary was opened. Conversion of the old infirmary’s open ward into a classroom, and the private rooms into offices, made the space suitable for academic purposes. The new accommodations also provided the expanding school with much appreciated relief after almost a decade of being in confined quarters in the Home Economics building, which is now known as the Design and Resource Management building. From the mid 1950’s until the 1968-69 academic year, the building was shared with the School of Physical Therapy. Essentially, one wing of the building was assigned to each school. The basement room served as a combined library and conference room, and a small adjoining area contained hydrotherapy facilities and a men’s shower and locker room. Some school of nursing alumni recall that for many years some of the class and office rooms still retained call-lights above the doorways to summon the nurses who had cared for the first occupants of the building.Additional renovations in the late 1960s further modified the building’s interior space to meet academic needs. Other indicators of the evolution of the school are display cases and wall plaques which mark students’ and faculty awards for scholarly achievements and the 1955 establishment of the school’s Sigma Theta Tau chapter. Despite considered thought to preserve the building by moving it to another site, and despite its being declared an historic landmark, structural deterioration of the 77 year old building and exorbitant costs for its relocation prohibited that possibility. The Carolyn Ladd Widmer building, built in 1919, was the University of Connecticut’s first infirmary. 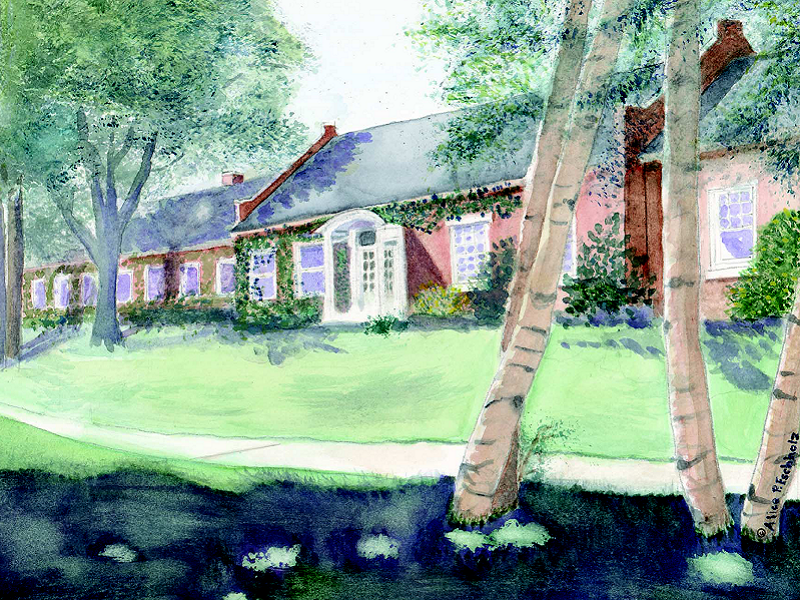 The above is a watercolor painted by Alice Eschholz ’54 for her class reunion in 2001. Visit the Dolan Collection in the Widmer Wing of the School of Nursing.